Picture of a cover is in a potato quality and probably it will be different after an official release. I tried an HD one, but it wouldn't let me. Racedriver43 wrote I tried an HD one, but it wouldn't let me. So it was too big. You should choose something between next time, like this one. Since I don't play Multiplayer, I extracted Vehicles screen from game files. 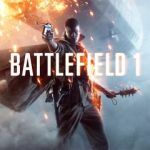 If someone have Battlefield 1 feel free to change pictures. I did see a bike in one of the gameplay trailers. I may add that in later.